There has been nothing at all for the non-Leinster Byrne clans until now, not a single book, or an accurate journal article relevant to them. However, Daniel Byrne-Rothwell in conjunction with Paul J. Burns and Nicholas C. Burns have combined resources to produce A One Name Study, the third volume of The Byrnes and the O’Byrnes. It must be said that is has been confusing and frustrating for members of non-Leinster Byrne clans and families to find material relating only to the more famed Co. Wicklow clan. Many myths developed about the assumed Wicklow origins of the various other Byrne, Burns etc. clans and families but A One Name Study, together with the Byrne DNA Project led by Paul Burns, will help to link the non-Leinster families to their proper backgrounds and histories. This book makes a study of surname Byrne on a county by county basis. This historical study, together with the increasing number of Byrnes and Burns taking the opportunity to have their DNA tested, has produced some remarkable findings, and in the future will form the foundation of many new family histories. It is a significant contribution to the understanding of Irish national history, but also preserves traditional and personal accounts that extend the work far beyond the scope of a mere political history. In fact A One Name Study provides an unprecedented model for other clan histories. To order your copy of Volume 3 of The Byrnes and The O’Byrnes, please go onto the House of Lochar website and send a direct link by email to your cousins! The information on each county and also by individual family trees is very comprehensive and there may be many families who would wish to have a copy for their own archive. Almost anybody of the name who can identify their own grandparents should be able to find their place in the grand scheme. We will continue with the existing price for volume 3 for now (£25.00 plus postage), but this does mean that almost all purchases must be made through the House of Lochar website. As soon as the title reaches third-party outlets, the price will have to be more than doubled. Please note that both Volumes 1 and 2 remain in print and we offer them as a pair at only £35.00 plus postage. Some excellent books have been published about the Byrnes in recent years. Aside from Byrne-Rothwell’s two volume study of the Leinster clan, The Byrnes and the O’Byrnes (2010), – A New insight Upon Irish History and A Social History of the Clan, a number of works mentioned below are essential reading. 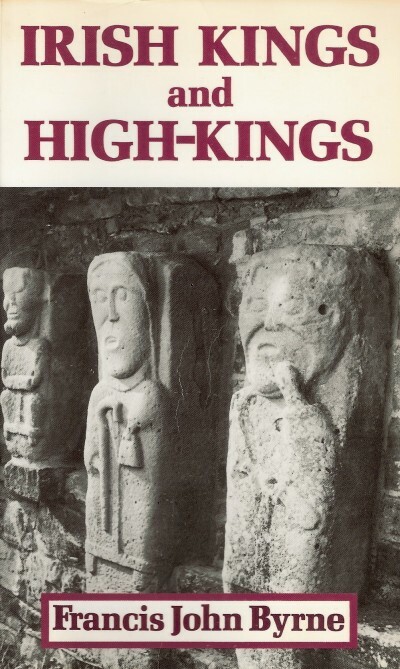 Irish Kings and High-Kings (1973), by Professor F.J. Byrne was a ground breaking study that has become a classic. Vital reading for all who wish to understand early and medieval Ireland. 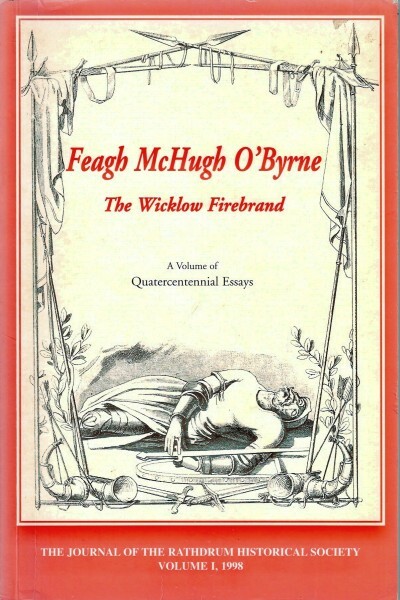 Feagh McHugh O’Byrne the Wicklow Firebrand (1998), edited by Conor O’Brien. A volume of learned essays in memory of Co. Wicklow historian Liam Price. Top rating historians, Brian Donovan, David Edwards, Harry Long, Darren Mac Eiteagain, Hiram Morgan, Kenneth Nicholls, the late Connor O’Brien, and Emmett O’Byrne, combined to restore Feagh McHugh O’Byrne to his rightful place as a leading figure, if not the leading figure, in the politics and warfare of Tudor Ireland. 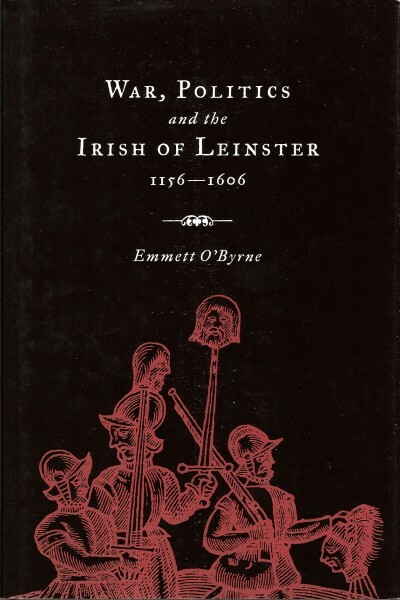 War, Politics and the Irish of Leinster 1156-1606 (2003) is a brillant in depth study by Emmett O’Byrne of the Leinster clans. It casts new light on the early O’Byrnes of Leinster and their interplay with both the other clans and The Pale, from the arrival of the Normans until the shiring of Wicklow. All this in the context of the rise of the Butlers and Fitzgeralds. 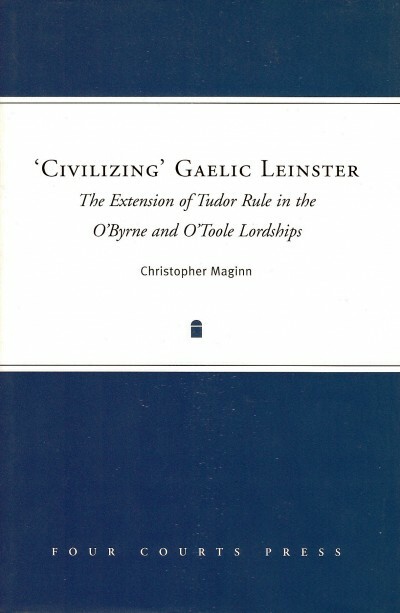 ‘Civilizing’ Gaelic Leinster (2005) by Christopher Maginn is an excellent exploration of the clash of two worlds, the Leinster Gaelic and the English Tudor. Again, it is an important study of early O’Byrne history. 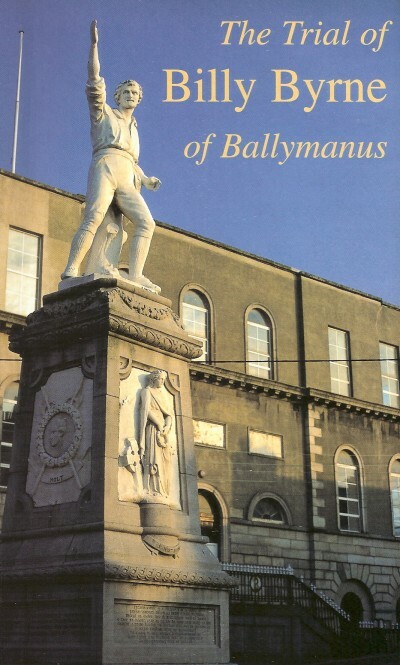 The Trial of Billy Byrne of Ballymanus (1996), with Foreword by Jim Rees, is a reprint of the original 1799 account of the trial. A must for those interested in the rebellion of 1798 and the story of the United Irishmen. The Memoirs of Miles Byrne (1863), is one of the most valuable source documents we have for the events in Leinster during the 1798 rebellion. It is now freely advailable to download from the internet. 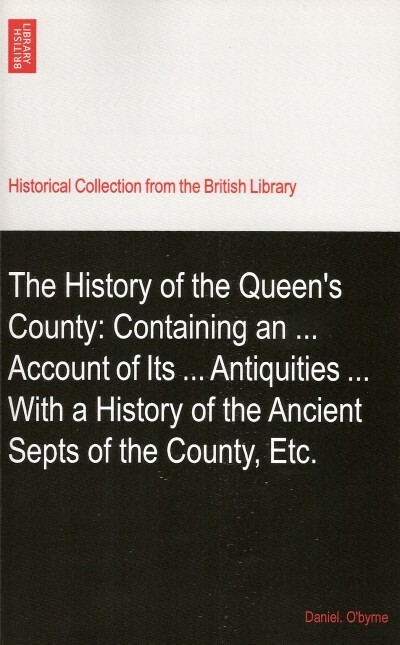 The History of the Queen’s County (1856). For those interested in the history of the Byrnes of Co. Laois. This is now advailable as a reprint from the British Library Historical Collection. The Book of the O’Byrnes (1944). More accurately, this is a a collection of poems dedicated to four members of the O’Byrnes of Ballinacor between 1550-1630. It is hoped to commission a translation of this work into English. The History of the County of Wicklow (circa 1857), by Daniel O’Byrne. Finte O’Broin is searching for ‘lost’ works, both in published and manuscript form, such as the above History of Wicklow. Who knows what gems of O’Byrne history these may contain. If you know of the whereabout of a copy of this work, or if you feel there are other works that should be included in this listing, then please contact Finte O’Broin. 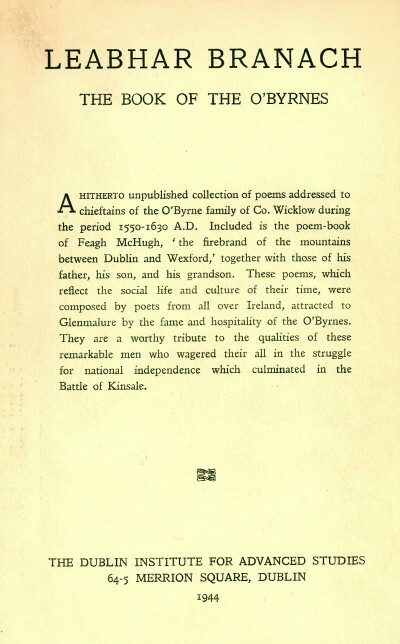 The O’Byrnes, Chieftains of Wicklow (date unknown), by John O’Kennedy-O’Byrne. The only reference to this work is in John O’Hart’s The Irish and Anglo-Irish Gentry. It was either privately published or a manuscript. The Pale and the Septs (1887) by Mary Louisa O’Byrne. Does anyone know of a surviving copy? There are a number of Victorian books relevent to the history of the clan. Books such as P’L. O’Toole’s History of the Clan O’Toole and other Leinster Septs (1890) is really a history of the O’Byrnes. While a work of art in its production, this, and books like it, have to be read very carefully for genuine history, the pedigrees, while well presented are weak and ridden with faults. It is however, advailable for free download from the internet, and is valuable in its own right, as the Victorian re-invention of the clan. Far more valuable for its long introduction, which recounts the situation of a Byrne family living near Rathdrum in Co. Wicklow in the 19th century, is this History of the O’Tooles of Fercullen with some notes on Feagh McHugh O’Byrne Chief of Clan Ranelagh (1869), by ‘John O’Toole’ who was really Fr. Meehan of Rathdrum. The actual text of the book mainly consists of extracts from the Journal of Sir William Russell, who was engaged in hunting down and executing Feagh. Saint Laurent O’Toole (1903). The third, and least known, of the “O’Toole books”. Written in French, it recounts the O’Toole – O’Byrne parentage of St. Lawrence. 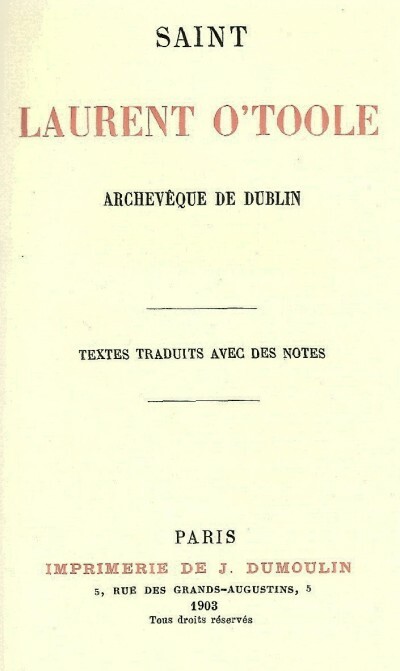 Historical Reminiscences of the the O’Byrnes, O’Tooles, O’Kavanaghs and other Irish Chieftains (1843), by Clarinda Mary Byrne of Cabinteely. Very rare, this has copies of some valuable material relating to the French cousins of the Cabinteely family. Apart from that the work is somewhat vainglorious and padded out. The O’Byrnes and their Descendants (1879) by the Rev. John Edge. Unfortunately, only one volume was published of this intended serial. It does give some valuable pedigrees. Patrick Kirwan’s essay on The Byrnes of County Louth, in The Journal of the Louth Archaeological Society (1911) has some value as a history of the leading branch of the Co. Louth Byrnes, but it is now known to be totally mistaken in linking them to the O’Byrnes of Leinster. The Byrnes of Co. Louth are a dsitinct and unrelated clan, and likely at one time, the richest family who bore the surname in Ireland.